When it comes to using airline miles to book flights, Alaska Mileage Plan miles are without a doubt some of the most valuable miles out there. While Alaska Airlines isn’t a member of a major airline alliance such as Oneworld, SkyTeam or Star Alliance, it has put together a great set of individual partnerships. However, it’s not just the partners that make Alaska’s program so valuable. It’s the fact that you’ll find that the number of miles Alaska Airlines requires for award tickets is often quite reasonable. Pair that with the ability to book stopovers on award tickets and you have a great way to see a few destinations on a round-trip award ticket. We’ve already covered some of the best ways to book flights with Alaska miles but we thought it would be useful to discuss some important aspects of the program such as finding award space, booking award flights and routing rules. With that in mind, let’s dive into the details you need to know to make booking easy for you. American and United are in the process of becoming more like Delta with dynamic award pricing with no upper limit to miles required. While you will see some variation in miles required when booking flights on Alaska Airlines with Alaska miles, there is a cap — we’ll discuss more below. This is a great thing for you as you don’t have to worry about Alaska charging an insane number of miles on a whim. Now, the tough part with Alaska’s award charts is that they have a different one for each partner airline. While this might seem like a negative, these charts actually provide some great opportunities for you. It’s also very simple to check the rates on Alaska’s award charts page by selecting your origin and destination regions. As we mentioned earlier, Alaska does use variable (or dynamic) award rates on its own flights but unlike Delta, it maintains a clear award chart so you know the exact range of miles you can expect to need. This figuring out how many miles you need to earn just a little bit easier. In the case of the Hop tier, you can expect one-way economy awards to cost between 5,000 miles and 30,000 miles — clearly, you want to book at 5,000 miles if at all possible. If you do choose to book an award at the highest award price within a tier, it will be a refundable award ticket. Ahh, Alaska’s partner awards. This is where you can have a lot of fun. From luxurious Cathay Pacific first class flights to hanging out at the best bar in the sky in Emirates business class. There are just so many luxury flights waiting to be booked. Unlike other airline programs, Alaska Mileage Plan has a different award chart for every partner. Make sure you check the number of miles required when you start planning a trip. Since Alaska has multiple pages of award charts depending on your origin and destination, we put together a comprehensive chart for flights departing from the contiguous US and Alaska. This chart will help you compare how many miles you’ll need based on which airline and route you want to book. We know the text in the chart is small so save the image or open it in a new window if you want a bigger version. If you want to check the specific terms and conditions for each partner or you want to look for award flight options that don’t touch the US, give Alaska’s award charts page a look. You can use Alaska’s website to find award space on its own flights as well as the vast majority of partners. In fact, the only partners you can’t find on Alaska’s site are Cathay Pacific and LATAM. In both of those cases, you’ll need to search with British Airways. Here’s a table of Alaska’s partners and how you can search for space. Just in case you ever wonder. Aer Lingus and Singapore Airlines are also partners with Alaska Airlines but you cannot use Alaska miles to book award flights on either at this time. Keep in mind that once Alaska miles can be used to book flights on Singapore Airlines, you’ll likely be restricted to booking economy class on long-haul flights. This is the case for Singapore’s other partners and we don’t have any reason to expect Alaska will be treated differently. Since you can search for award space on most of Alaska’s partners online, booking is very simple. If you know the dates you want to fly, simply run a search from the home page — just make sure you select “Use miles” before you enter your origin/destination. Once you reach the results page, you’ll be able to filter flight options by airline and number of stops. You’ll be able to see all the available flights in each class of service. If your travel dates are flexible, you can run a flexible date search. To do so, select “All search options” on the homepage. From here, you can follow the same process except you can select “Award calendar” before running the search to see options in the month of your selected date. You can then toggle between months. If you want to book a stopover, you can also run your search from this page by selecting “Multi-city” before you search. Now, if you want to book a flight on Cathay Pacific or LATAM, you’ll need to run your search on British Airways then call Alaska Airlines (800-252-7522). Make sure you have all the flight info from your search on British Airways so you can tell the Alaska phone agent what you’d like them to search. Unfortunately, Alaska doesn’t have access to the same award space as Cathay and LATAM’s Oneworld partners. This means you might run into a situation in which British Airways shows award space but Alaska doesn’t have access to it. We know this can be annoying, but that’s how it goes sometimes so stay polite on the phone even if you’re frustrated and disappointed. Alaska’s routing rules aren’t too complicated — looking at you, American — so the booking process isn’t too painful. Since there are different terms and conditions when booking flights with miles on partners, it’s a good idea to check Alaska’s award chart before you start your search. This will allow you to see what partners can be booked between your origin/destination and if there are any restrictions. To give you a simple example of these restrictions, let’s take a look at using Alaska miles to fly from Europe to Asia. While Alaska partners with Japan Airlines (JAL), you cannot use Alaska miles to book a JAL flight between these two regions. Additionally, award flights on Cathay Pacific from Europe are restricted to a non-stop to Hong Kong — this means no stopover in Hong Kong on your way to somewhere else in Asia. 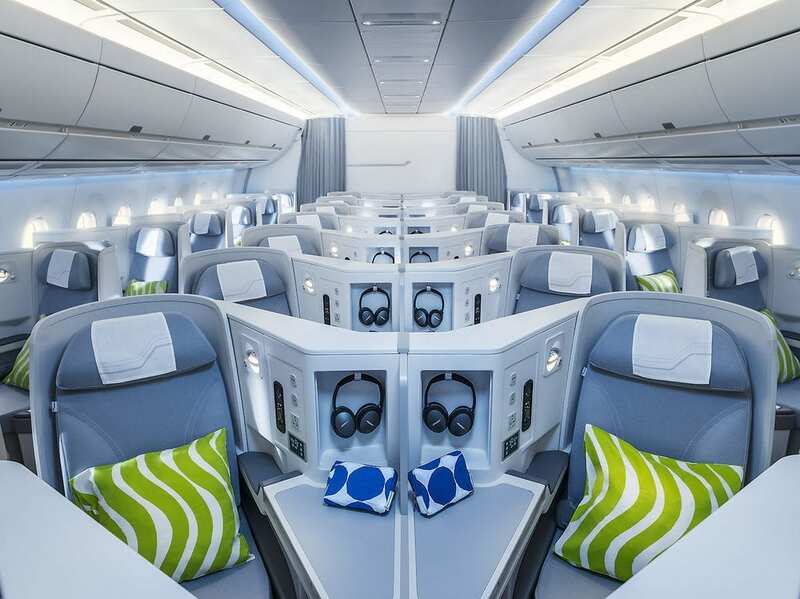 However, you can book Finnair from Europe to anywhere in Asia. As we said, make sure you give things a look before you start your search so you don’t get too frustrated. If there’s one pet peeve people have with Alaska Mileage Plan it’s probably that you can only include one partner airline per direction. You can include two partners on a round-trip booking but only one on the outbound and one on the return. This means your stopovers are typically limited to a partner’s hub airport — Hong Kong for Cathay Pacific, Dubai for Emirates, Helsinki for Finnair, etc. On the positive side of the equation, Alaska Airlines allows you to include a stopover on a one-way award ticket while many airline programs — United MileagePlus and Air Canada Aeroplan, for example — only allow stopovers on round-trip award tickets. This actually provides a really interesting opportunity if you’re booking a flight back to an Alaska hub from abroad. If you only need the non-stop to get home on the partner, you could then get a headstart on your next trip by booking a stopover in your home city before continuing on to, let’s say Hawaii several months later. This is a bit niche and won’t work for everyone, but we talked about it a bit more in our discussion on the best ways to use Alaska miles. Alaska’s award chart shows the number of miles you need for a one-way award ticket. Pretty simple except for the fact that the rate you see for Korean Air is actually the round-trip rate. Sure, you can book a one-way award ticket on Korean Air but you’re still going to pay the same number of miles. As an example, you need 105,000 Alaska miles to book a one-way or round-trip business class ticket to Asia North Asia on Korean Air. So, when using Alaska miles to book flights on Korean Air, stick to round-trip tickets. A fun trick to somewhat get around this restriction is to book the outbound on Korean Air and a return flight on another partner airline — or vice versa. Using our example to Asia, this means you could book a flight to Hong Kong on Korean Air for 52,500 miles and a return flight on Cathay Pacific for 50,000 miles — both in business class — for a total of 102,500 miles round-trip. Another example would be to fly Korean Air business class on the outbound for 52,500 miles and return on Japan Airlines business class for 60,000 miles. That’s a total of 112,500 miles round-trip. If you’re booking a Cathay or LATAM flight over the phone or you need to call to book a stopover, you’ll be charged a $15 phone booking fee. Additionally, when you book an award ticket on a partner airline, you’ll pay a $12.50 partner award fee per direction — a round-trip award will cost $25. Neither fo these fees is too steep, but the change/cancellation fee is quite a bit steeper at $125. Alaska Airlines doesn’t partner with any of the transferable points programs run by American Express, Capital One, Chase or Citi. When it comes to transfer partners, your only option is Marriott Bonvoy. If you’re a road warrior who regularly books flights on Alaska — or its partners — and stays at Marriotts regularly, you might be able to earn points quite quickly, especially if you book premium cabin cash fares on partners. When it comes to credit cards, your options are limited. You can earn Alaska miles directly with its co-branded cards issued by Bank of America — there’s a personal and business version of this card. Additionally, any of the Chase or Amex Marriott cards (Learn More) can help you earn Marriott points which can be transferred to Alaska. If you have a specific use for Alaska miles in mind and you’ve found award space, buying miles might make sense. If you can, time when you buy Alaska Mileage Plan miles you might be able to take advantage of a promotion to get the best possible deal. Generally, we don’t suggest buying miles speculatively. With the other US airlines seemingly devaluing left and right, you really have to appreciate the value Alaska Mileage Plan provides customers. If you put in a little planning and follow the guidelines we’ve discussed, using Alaska miles should be a breeze. Really, with some many great ways to redeem Alaska miles, the toughest part is deciding what you want to book. Just make sure you take advantage of the free stopover! Two questions, but kind of inter-related. 1) I have yet to use Alaska–so presumably when booking Korean you need to make sure that you have round trip dates… I try and book when tickets become available that day on say American. If round trip tickets then I would have to wait for when the return is available and cross my fingers no one has taken my forward flight award? 2) similarly for a stop over I will need to make sure the availability is there for later or is it just an “open” date for the future? Hey Gina – Great questions! 1) You would need to have the both the outbound/return dates available to book. it will, of course, depend on the dates, but it wasn’t an issue on my latest search. 2) You need to book the stopover for a specific date in the future so you’ll need to find availability. Is this really possible? How can you fly 2 partners on a single ticket? Hey USB – The one partner rule is really per direction. You can only include one partner on the outbound and one partner on the return. I’ll add a screenshot to the post to give you an example. How do you mix Korean and Cathay in a single ticket? Is that really allowed? I haven’t booked it, but you can book Korean with AA or Japan Airlines online. I don’t see why it wouldn’t work over the phone if you ask then to book a round-trip ticket. Hope you’re keeping well. Great article, I was hoping to get some advice: basically I hope to be travelling to Australia (Melbourne) during February 2020 from the US, and was hoping to do so in premium class (business or first). I was wondering if you had any tips to booking via Qantas as availability seems to be very poor. Also if I were to see availability on BA for Cathay, going JFK-HKG-MEL as separate tickets, would this count as the 80,000 quoted by Alaska with a ‘free’ stopover in Hong Kong? Tough to predict Qantas award space – esp. premium cabin. Cathay biz class can be tough between HKG and Australia, but you can book a stopover in HK if you can find space! Keep in mind that Korean only opens up 1 seat in biz class per plane. If you’re traveling solo, no problem, but if you’re looking to fly with a partner you’ll either have to fly on 2 different aircraft or look elsewhere. If I book a redemption on business class CX from Singapore – LAX – Philadelphia, waith stopover in LAX. LAX-Philadelphia is operated by Alaska airlines. Is it possible? Is the applicable miles still 50k? Hey John – You can definitely book that for 50k Alaska miles if you can find the necessary award space. What’s the max advance booking data for which you can book Cathay awards? Is it based on Alaska or BA? i.e. BA you can book/search for award space out in advance till early April 2020, however, on alaska.com you can only book out till Early March 2020 (as of April 2019). I found Cathay Biz class awards for April 2020 on BA.com Are these eligible to be booked using Alaska miles? British Airways will show award space up to 355 days from departure. Unfortunately, Alaska Airlines only shows space 330 days from departure so you have to wait until then. Cathay Pacific’s Asia Miles program actually shows space at 360 days. If you need a flight on a specific date, booking with Asia Miles can help ensure you get the seat since you have a head start. Also, remember that Alaska often gets less award space from Cathay.